Hi, I’m Alexis from Bean and Bee. 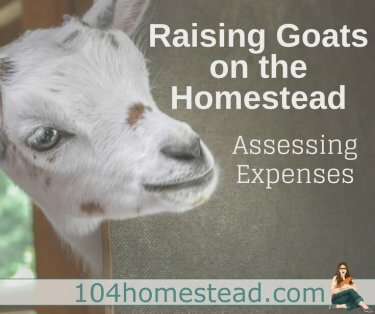 I write about sustainable living in the suburbs, whether it be growing your own food, making less toxic choices for your home, or reducing waste. 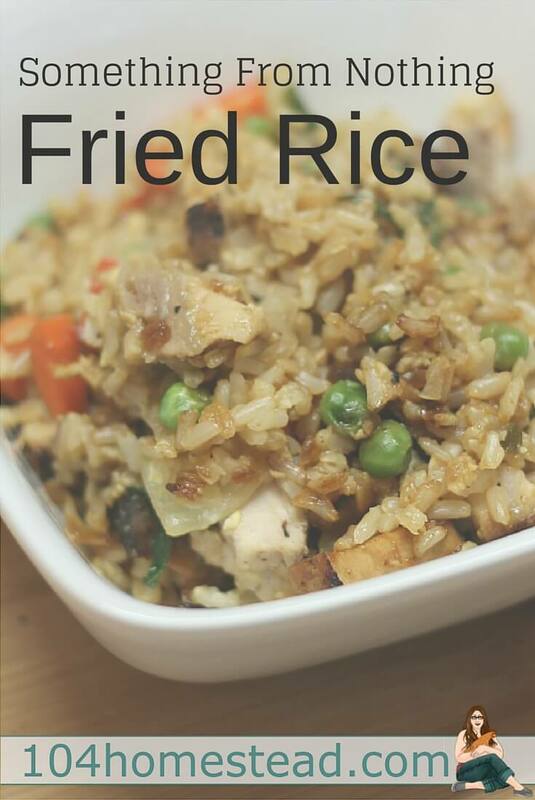 Today, I’m sharing one of my favorite recipes that you can make with a few staple ingredients and whatever leftovers you have on hand – fried rice! This is a one skillet dish, so clean up is easy. Since this fried rice recipe makes use of a lot of leftovers, your refrigerator will have more room as well. I usually make it when we haven’t been to the grocery store in a week and we are down to random bit of food. 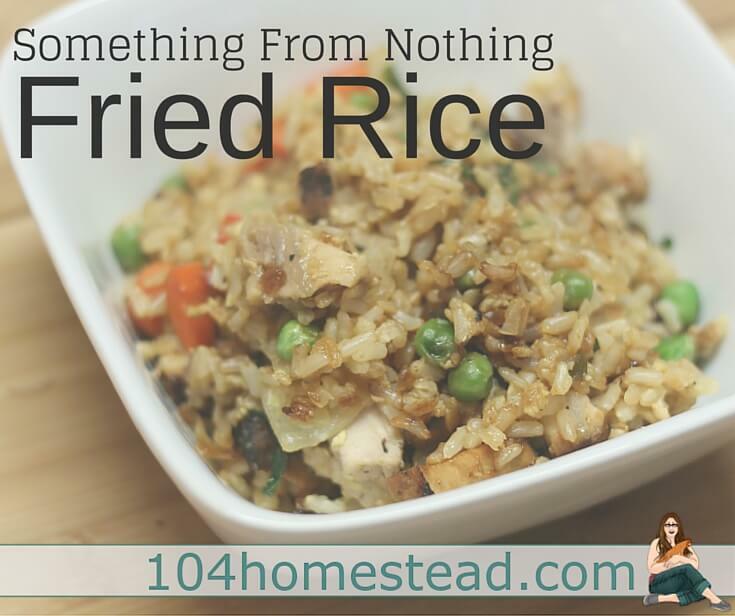 “Something From Nothing Fried Rice” is a crowd-pleaser in my home. My kids will actually happily eat whatever veggies work their way into the mix and it’s heavy enough that my husband and I feel satisfied after a bowl. Cooking this meal is more art than science, but there are a few essential ingredients. Rice (leftover is perfect) and soy or teriyaki sauce are key. You also need a protein – eggs work well, as does leftover meat. In the version shown in the pictures, I used two eggs and a leftover grilled pork chop from the night before. One of the beautiful things about this dish is you can use up food that otherwise wouldn’t be enough to make another meal out of. Less food waste saves you money and reduces the amount your household sends to the landfill. Less waste in the landfill means less creation of methane, a dangerous greenhouse gas that contributes to global warming. Who knew a recipe could save the Earth? Use what is about to go south in your vegetable drawer, these are just suggestions. Dice your meat, if you have some, and any vegetables you’re using. If you’re using eggs, scramble them in a bowl and set aside. Brown your onions in a large skillet. Add vegetables and cook about halfway though. Add sauce to taste by drizzling over the vegetable / rice mixture and allow to cook for 1 minute. It’s okay if it gets a little crisp on the bottom. If using egg, make a well in the middle of the rice and poor the egg in. Allow the egg to cook halfway through before mixing into the rice and vegetables. Add the diced meat, if using. Let the mixture cook a few more minutes, stirring occasionally until all proteins are heated through. Once heated through, remove from heat and serve in bowls. If you like it a spicy, drizzle a little Sriracha on top. For the version pictured, I used leftover brown rice, 2 eggs and a grilled pork chop, onions, frozen peas, and leftover green salad (arugula, red pepper carrots, cherry tomatoes). It made enough for two adults and two children with some leftover. Alexis is a gardener, mother, and climate activist who writes about sustainable living in the suburbs. She is transforming her typical lawn into an edible permaculture paradise. Follow along on her adventures at BeanAndBee.com. 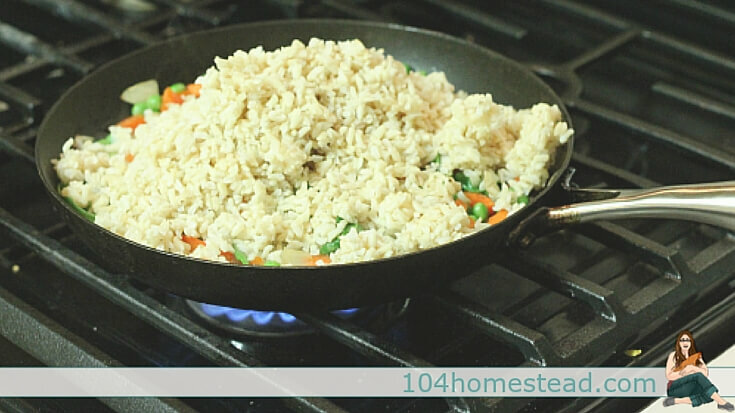 Fried rice is one of our go-to meals around here, also, for the very reasons you mentioned. I always make mine with eggs and will add whatever leftover meat is in the refrigerator – leftover roast chicken or beef is typical. And then whatever veggies are on hand. As for condiments, for me, soy sauce and sriracha are key. Thanks for sharing your recipe. I just made this delicious recipe from things I had in my kitchen! Who knew that leftover rice, frozen peas, eggs, and teriyaki could make a satisfying meal in about 10 min. I will defiantly make this or some variation (depending what leftovers I have) of this recipe again. Thanks for the post Alexis! Thanks for sharing Alexis.This would tie in well with the whole chicken(s) I have been cooking in the crock pot. I end up with a chx meal, chx noodle soup, and some small bits would be great for throwing into your fried rice recipe. Hey Adam! Chicken noodle soup sounds sooo good right now. I’m glad the fried rice recipe will help you get a third meal out of your crock pot chicken!